Over the past few years, there has been an increase in consumer class actions in courts across the country. Almost every consumer product could be subject to scrutiny for class action claims. Class actions give injured plaintiffs who have claims with small monetary damages a means to team up together to receive compensation from large corporations. The people affected by the issue are so numerous that it is impracticable to bring them all before the court separately. Class actions may be initiated in state or federal court and classes may consist of members in one state or span several states. Overall, class action lawsuits seek to protect consumer rights of all members of the class. Individuals who otherwise have claims that are too small to warrant an individual suit can join in a class action to help protect them. How Do I Get My Class Certified? Numerosity: Under Rule 1.220(a)(1), a class must be “so numerous that separate joinder of each member is impracticable.” This simply means a proponent must show that joining all class members would be extremely difficult or inconvenient. However, a proponent does not necessarily need to identify each member of the class from the outset. Florida courts have held classes as small as 25 members would fulfill the numerosity requirement. Commonality: Claims of the potential representative parties “must raise questions of law or fact common to the questions of law or fact raised by the claim of each member of the potential class.” Florida courts have found this requirement can be fulfilled if all members have a genuine common single issue. Typicality: The facts and circumstances that make up the claim or defense advanced by the representative party is typical of the claim or defense of each member of the proposed class. Common Predominance: Where the questions of law or fact common to the class predominate over any questions affecting individual members of the class. 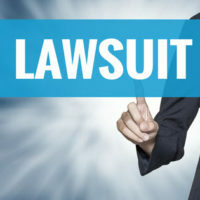 If you believe a corporation has wronged you and you are interested in commencing a class action lawsuit, the experienced class action lawyers at Lesser, Lesser, Landy, & Smith, PLLC in West Palm Beach, Stuart and Boca Raton can help you evaluate the merits of your case, help build your proposed class and ensure the class meets the requirements under the law. Contact us today for a free consultation.